Canterbury Volatility Index (CVI 38): Volatility is at a historic low reading. 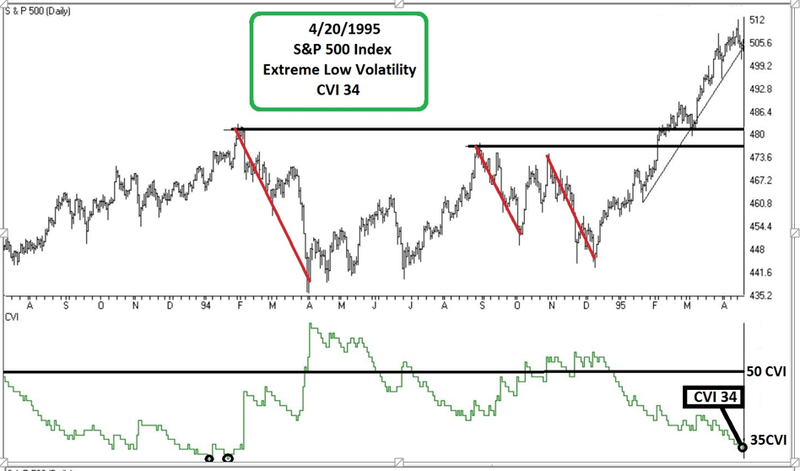 In fact, volatility as measured by the CVI has only been this low two other times since 1995 (over 20 years). Another week. Another advance to new highs. 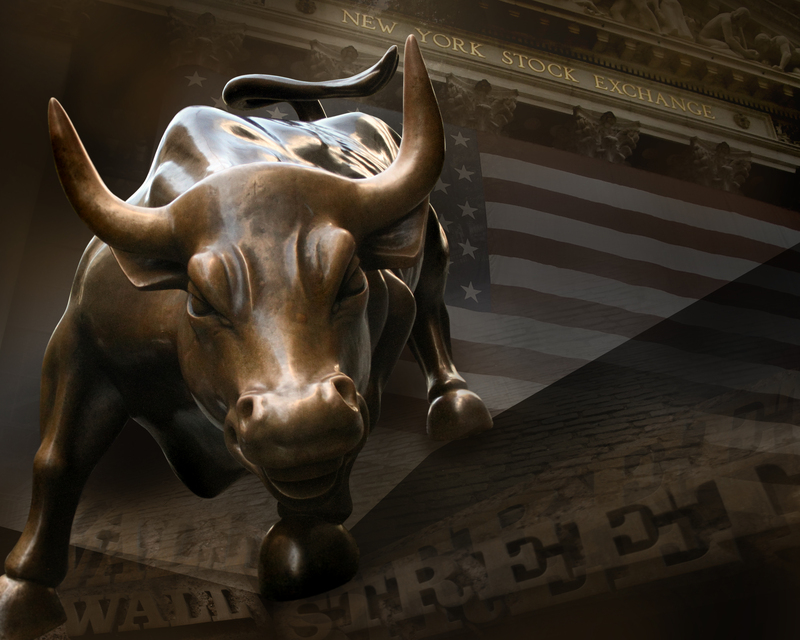 How could so many market experts have been so wrong about the current bull market? Who would have guessed that a Trump win would lead to a substantial global stock market rally, a sharp decline in bonds and the lowest volatility in years? 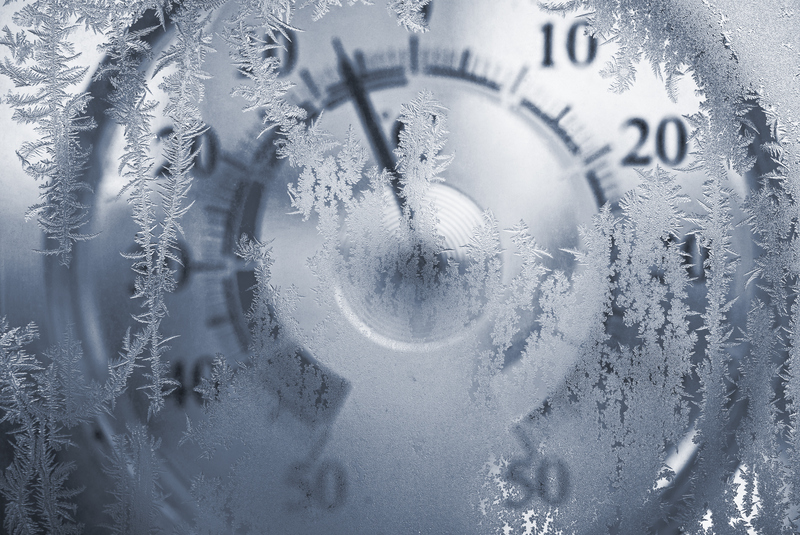 The Portfolio Thermostat’s Market States provides an objective rules based methodology to identify the existing market environment – bullish, transitional or bearish. The Portfolio Thermostat shifted from outright Bearish (Market State 12) to Transitional (Market State 11) on March 1, 2016. 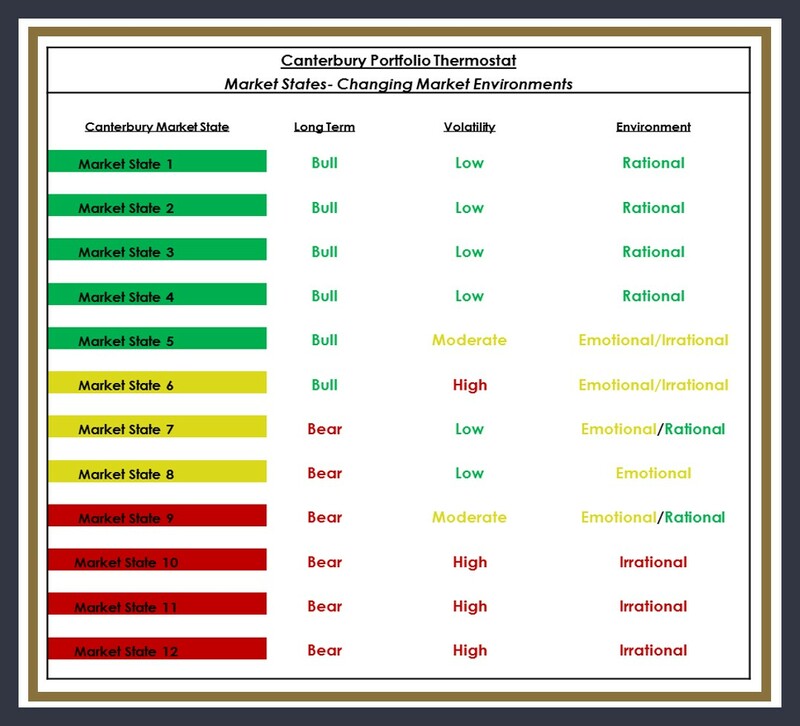 On April 12, 2016, the Portfolio Thermostat shifted from Transitional Market State 7 to Bullish Market State 1 and has remained in either Bullish Market State 1 or Market State 2 ever since. The 20 Year Treasury Bond ETF (symbol TLT) shifted from Bullish Market State 2 to Bearish Market State 8 on September 12, 2016. The current Canterbury Volatility Index has only seen a lower CVI level two times in over 20 years. 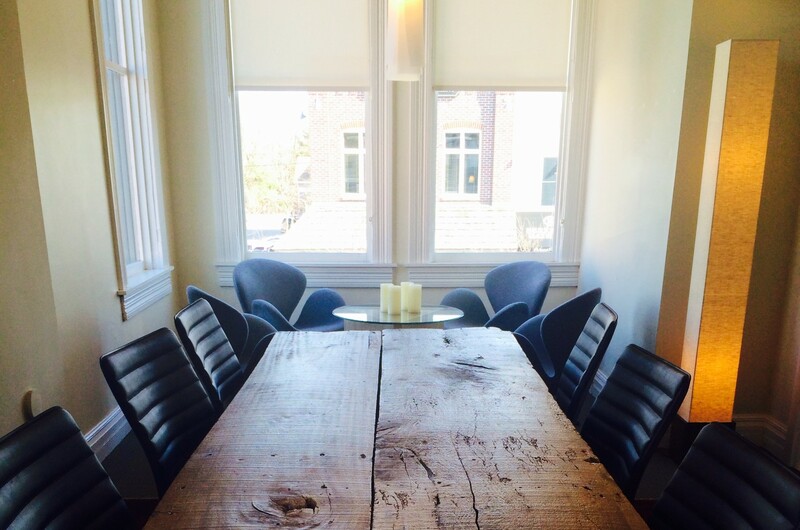 The two previous times occurred in Market State 1, the same as the current environment. Both experienced a short term pullback shifting to Market State 2 and both saw new highs following the pullback. 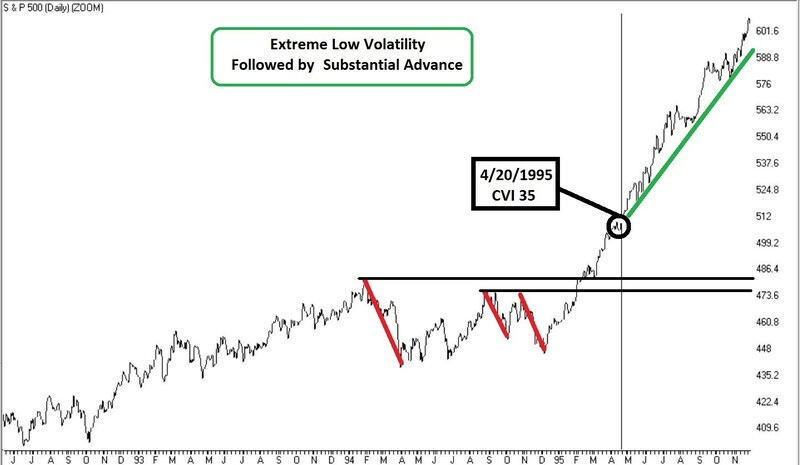 There appears to be a strong similarity between the current S&P 500 chart, with volatility at an extreme low CVI 38, and “1995” when volatility was at an extreme low CVI 34. The 1995 period was followed by a substantial advance. 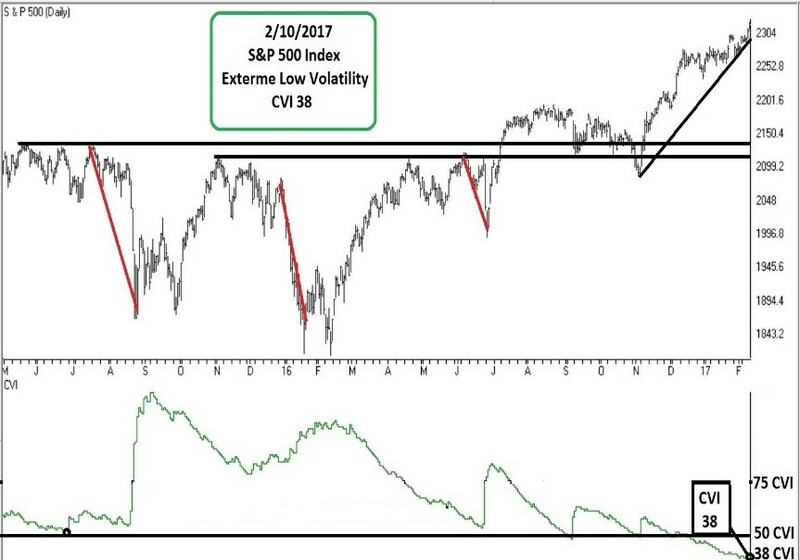 Will the current extreme low volatility eventually produce a substantial advance? No two markets are the same. That said, we are in a bull market with low volatility. The most likely outcome from here, would be a normal pullback correction, that could be followed by another leg up and new highs.